The Drawbacks of Fighting Terrorism with Torture In a desperate drive to catch suspected terrorists, the United States is using torture and other harsh interrogation techniques. But that can often lead to wild goose chases because of unreliable information generated under duress, the author of a new book says. Conversations on how the U.S. government interrogates its prisoners, and the question of torture. In a desperate drive to catch suspected terrorists before they can strike, the United States is using torture and other harsh interrogation techniques. But that can often lead to more problems, including wild goose chases due to unreliable information generated under duress, the author of a new book says. 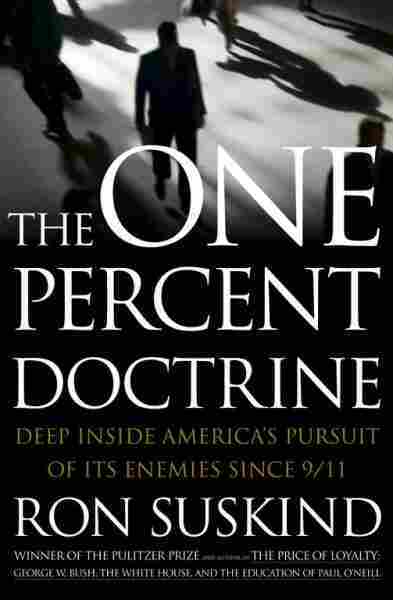 How the United States gathers intelligence, and how the White House directs the war on terrorism are just two of the subjects covered in The One Percent Doctrine, Ron Suskind's new book. Suskind takes his readers into the interrogations of some of the most highly prized prisoners in the war on terrorism -- Abu Zubaydah, and the mastermind of the Sept. 11 attacks, Khalid Sheik Mohammed. Suskind says pressure to generate intelligence came from the top. President Bush took a hands-on approach to monitoring interrogations after the Sept. 11 attacks. "He was interested in a very specific, granular way all the time. He was constantly asking folks inside of CIA, 'What's happening with interrogations? Are these techniques working?' Can we trust what we get? The president ... is involved -- some people say too involved -- in the granular day-to-day grit of this war on terror." That can often lead the government to conduct nonproductive searches, Suskind says. In March 2002, amid criticism over the failure to capture Osama bin Laden and other al-Qaida leaders, Zubaydah, a suspected member of the terrorist group, was captured in Pakistan. President Bush touted Zubaydah as a key player, but U.S. intelligence officials considered him a lower-level "recruiter/travel agent," Suskind says. 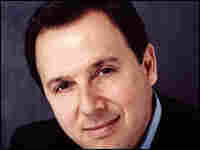 "What that disparity drives is a ferocious interrogation protocol for Abu Zubaydah," Suskind says. Zubaydah, who had been shot three times during his capture, was helped back to health, then tortured, the author says. "And this man, mentally unbalanced, clearly so, basically begins to talk about everything under the sun," Suskind says. Zubaydah's tips that major U.S. landmarks were targeted for terrorist attacks proved to be largely unfounded. "Virtually none of them were targets," Suskind says. In an earlier conversation in this series, Harvard law professor and author Alan Dershowitz said torture can be useful in some cases. But Suskind disagrees. "What the evidence shows is that there are cases in which some information that was valuable came from very, very harsh techniques," Suskind says. "On balance, what the evidence shows more clearly is that torture creates many, many more problems than it can ever solve. That in some ways, that information is probably costing too much."